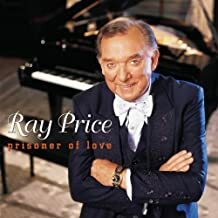 Ray Price is someone you never tire of listening to and goodness he has so many wonderful classic songs. It would be next to impossible to list all the songs he has recorded over the years and so many of them were great hits. We have some of his more famous song lyrics on this web site, browse these lyrics with chords, they are for those of you who may just be learning to play or maybe have forgotten exactly how the words are. Ray’s timeless music, super voice and innovative genius have yet to be equaled by any other singer in today’s country music. After more than 50 years in the business he can still sing a song with the best of them whether it be honky-tonk, country, pop, blues, jazz or anything in between. My wife sings and I play the guitar , mind you, we only do this at home but it’s always a treat when we get of Ray Price’s lyrics in our book. It’s our passionate hobby and we take time every afternoon for it, singing makes us feel better. Get your family involved in playing and/or singing, you don’t have to be good to enjoy participating.